CPF Masonry has the chops to take on large scale commercial new construction projects in addition to home renovations. 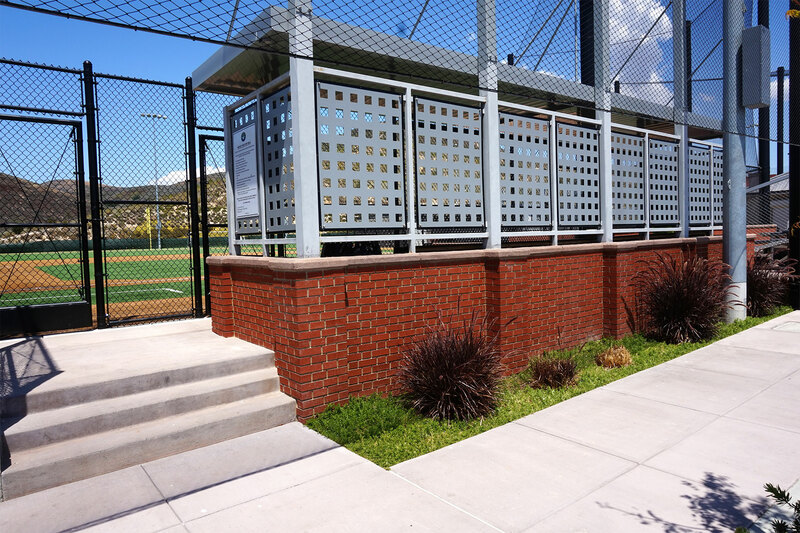 The Triunfo YMCA Baseball Fields are a prime example of our capabilities to visualize and deliver a community project. We worked directly with the YMCA and Hellas Construction to produce a nearly identical clone of Wrigley Field for this state of the art youth baseball field. The red brick topped with concrete brings new life to the classic feel of many of the game's professional stadiums. The alternating pattern in the brick is what revives the classic design. You see this peppered throughout the rest of the park. 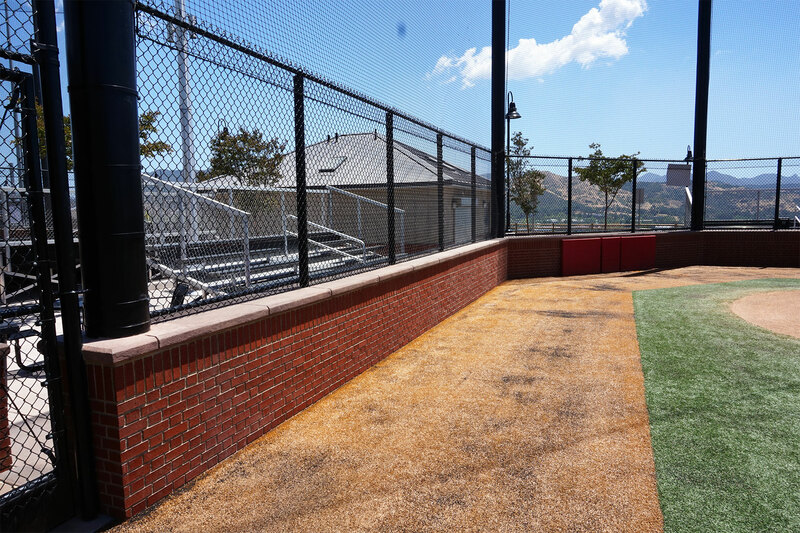 The red brick topped with concrete theme continues on in the dugouts. The red brick frames the back and sides of the structure and a small footer completes the package in the front. The sheds are a necessary but imposing structure. 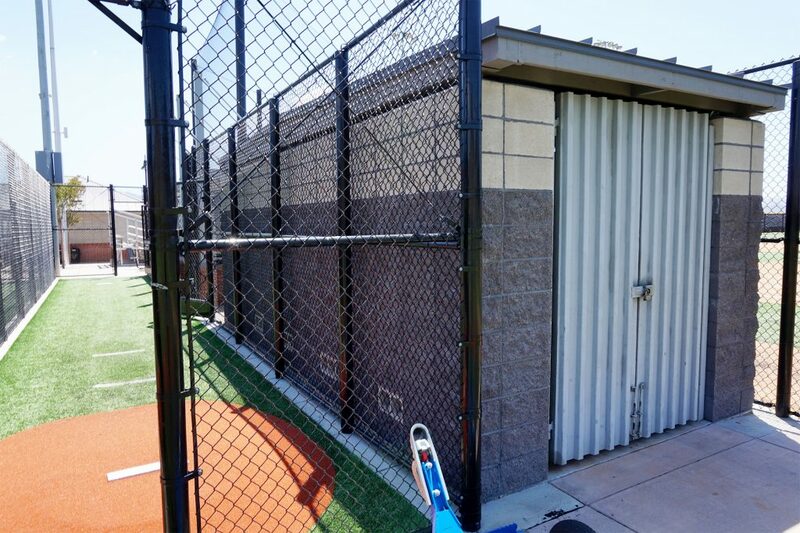 We wanted something more elegant than the standard shipping container you see at most youth fields. 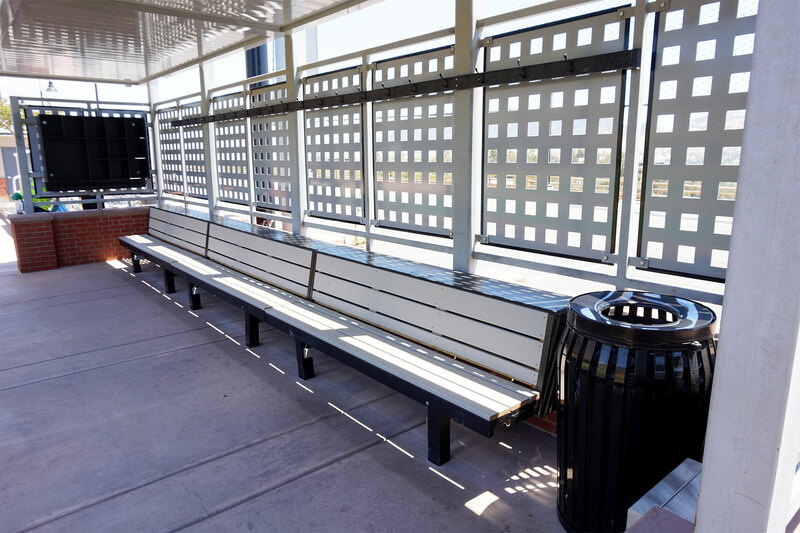 We kept the design functional yet subtle by choosing sturdy materials and a muted color scheme. 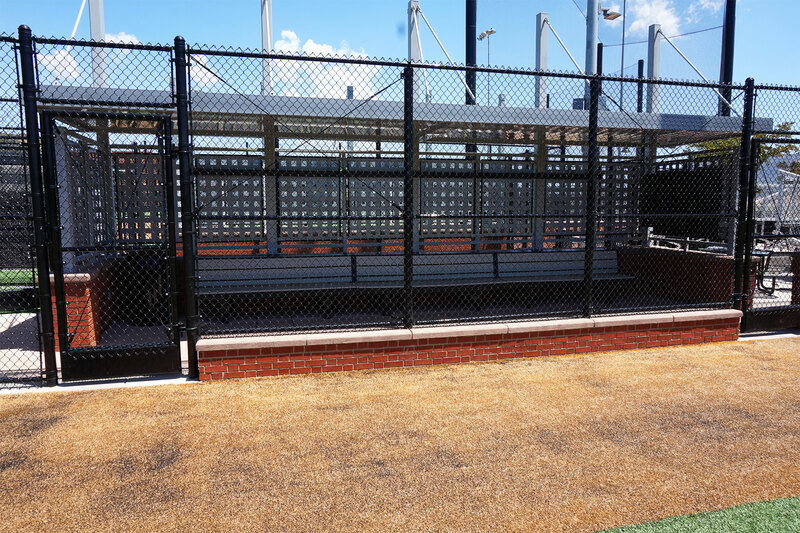 The cinder block walls and corrugated metal doors keep the focus on the bright red brick, dirt and green turf throughout the park. Ultimately these sheds are hidden in plain view. This is a commonly overlooked, yet necessary feature. 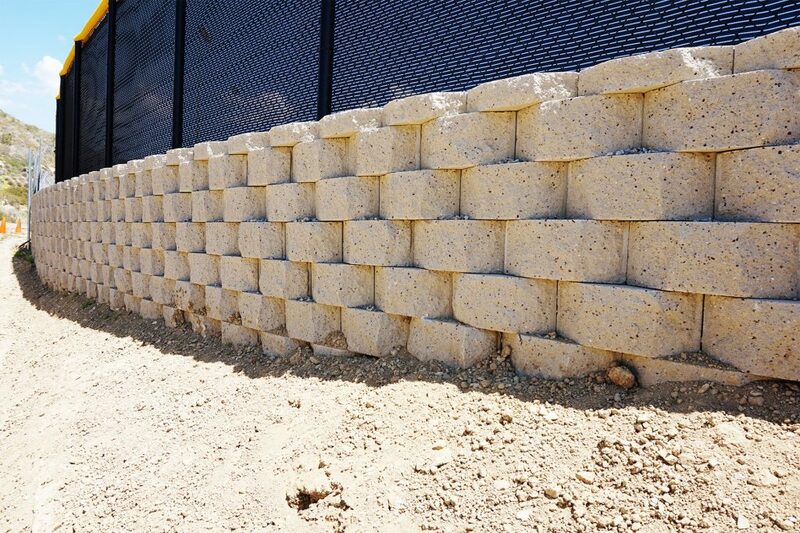 We went with the simple round edge block retaining wall for its sturdy foundation and pleasant aesthetic. The rounded edges add a nice texture to what could have been your standard cinder block wall. All in all, every detail was taken into consideration when we executed this project. The end result is a truly remarkable playing field that will serve the community for years to come.